LAS VEGAS (Sept. 1, 2016) – World Series of Fighting (www.WSOF.com) has announced a stellar and complete, seven-fight preliminary bout card, headlined by a much-anticipated rematch between rival bantamweight (135 pounds) starsChris “El Guapo” Gutierrez (9-1-1) and Timur “Lucky” Valiev (10-2), for the star-studded, WSOF33: Gaethje vs. Dugulubgov world championship doubleheader extravaganza at Kansas City Municipal Auditorium in Kansas City, Mo. on Friday, Oct. 7, live on NBCSN at 11 p.m. ET/8 p.m. PT. The preliminary bout card will stream live, in its entirety, on an embeddable video player on WSOF.com, beginning at 8 p.m. ET/5 p.m. PT, immediately before the unprecedented, three-hour telecast of the six-fight main card that will be headlined by a world lightweight (155 pounds) title fight between reigning, undefeated champion Justin “The Highlight” Gaethje (16-0) of Safford, Ariz. and number one contender Ozzy Dugulubgov (8-2) of New York, N.Y. Priced from $20, tickets for WSOF33: Gaethje vs. Dugulubgov go on sale tomorrow, Friday, Sept 2 at the Kansas City Municipal Auditorium box office as well as online at Ticketmaster.com and WSOF.com. The rematch between the 5-foot-9, 25-year-old Gutierrez of Greenville, Texas and the 5-foot-6, 26-year-old Valiev of Albuquerque, N.M. via Makhachkala, Dagestan, Russia will unfold less than eight months after the two went to war in a see-saw battle for three full rounds in Garden Grove, Calif. on February 20. After the closing bell, Gutierrez, walked away with a controversial, split decision, leaving unfinished business between the two prolific athletes. Leading off the undercard, undefeated submission ace Bryce “Thug Nasty” Mitchell (6-0) will face off with fellow rising star and knockout artist Brandon Phillips (6-1) in a featherweight (145 pounds) matchup. 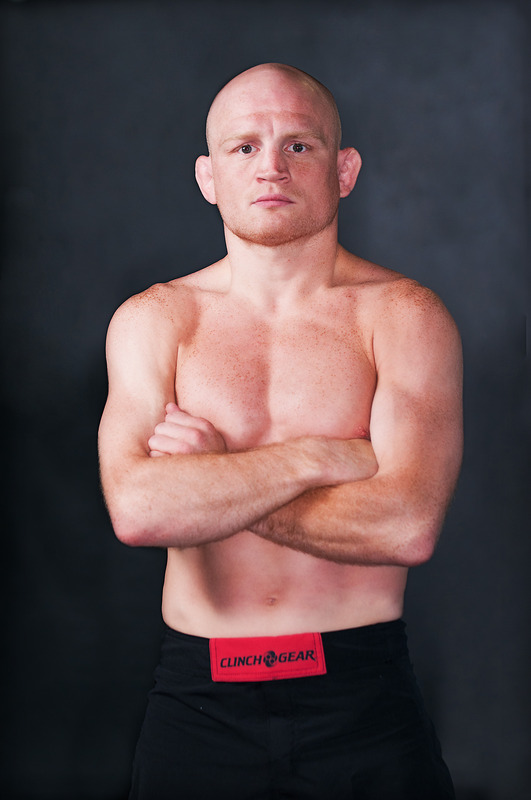 One of MMA’s hottest prospects, the ferocious, 5-foot-9, 21-year-old Mitchell of Searcy, Ark. has notched all six of his professional wins to date via submission in the first round of action. He made his promotional debut at WSOF27 in Memphis, Tenn. on January 23, finishing Jorge Medina with a rear-naked choke at the 1:02 mark of the opening round. Phillips of Oklahoma City, Okla. is a hard-hitting striker who has earned four of his six professional career wins, thus far, by way of (T)KO. The 5-foot-6, 26-year-old is coming off a unanimous decision victory over Chuka Willis at Bellator 159 on July 22. Elsewhere on the WSOF33 preliminary card, world-ranked Jesse Brock (22-8) will make his World Series of Fighting debut opposite dangerous finisherBekbulat Magomedov (16-1) in a bantamweight (135 pounds) scrap. In his last start, the 5-foot-4, 34-year-old Brock of Boise, Idaho notched his sixth consecutive victory, forcing Olly Bradstreet to tap out from a rear-naked choke in the third round (3:57) of their bout at Bellator 155 on May 20. The 5-foot-8, 25-year-old Magomedov of Makhachkala, Dagestan will look to rebound from his sole loss to date, a split decision to Josh Hill, at WSOF26 on December 18. Prior to the fight, Magomedov had gone unbeaten since his professional debut in 2011. Abu “Gladiator” Azaitar (12-1-1, 1 NC) of Cologne, Germany will square off with “Mad” Mike Arrant (15-11) of Las Vegas in a welterweight (170 pounds) tilt. In a second welterweight matchup, Magomed Magomedkerimov (17-5) of Makhachkala, Dagestan will lock horns with Bobby “Super Duper” Cooper(12-6) of Knob Noster, Mo. Streaking finisher Islam Mamedov (13-1) of Jersey City, N.J. via Derbent, Dagestan will face battle-tested veteran Alonzo “Zo Diddy” Martinez (40-19) of Papillion, Neb. at lightweight. In middleweight (185 pounds) action, three-time UFC veteran Bruno “Carioca” Santos (14-2) of Macae, Rio de Janeiro, Brazil will make his World Series of Fighting debut against Xtreme Couture team member Clinton Williams (11-4) of Las Vegas.